20 YEARS ON: “It has truly been a remarkable journey, one that we at Sagicor are extremely proud of, not only because of how well the event has done over the years, but even more so for what it represents for us, that of giving back to those less fortunate,” says Sagicor Foundation Chairman, R. Danny Williams, referring to the eagerly anticipated Sagicor/Sigma Corporate Run. Now in its 20th year, the annual charity event, which attracts thousands of participants, takes place on Sunday, Feb. 18 in Kingston, with the aim of raising at least $50 million. Funds raised this year will benefit the Spanish Town Hospital Neo-Natal Unit and St. Christopher’s School for the Deaf. 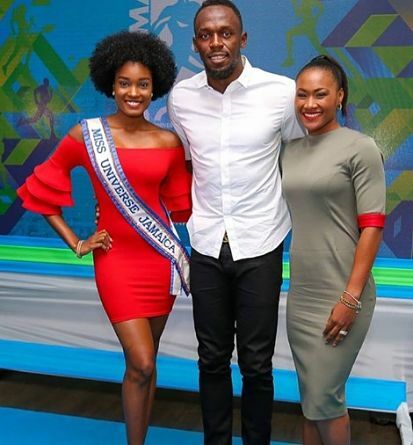 The patrons of the 2018 Sagicor/Sigma Corporate Run are reigning Miss Jamaica Universe Davina Bennett, fitness coach and businesswoman Patrice White and retired Olympic legend Usain Bolt. WOMAN OF SUBSTANCE: Having led Phase 3 Productions into its most productive period, Dr. Marcia Forbes is ready to take on fresh challenges. 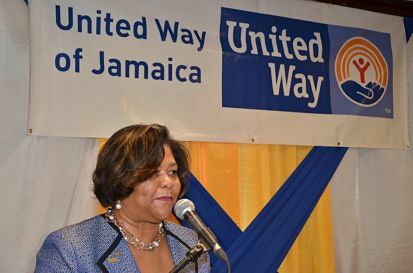 The noted businesswoman, media icon and author is the incoming Chair of United Way of Jamaica, according to the papers. Forbes, former General Manager at Television Jamaica (TV-J), recently accepted a cheque from the JN Foundation to assist with disaster relief and rehabilitation for the Caribbean islands devastated by last year’s hurricanes. In October, the JN Foundation launched a campaign called ‘Help Our Caribbean Neghbours’ with money raised to be added to the pool of funds being aggregated by United Way to dispatch to the respective territories.